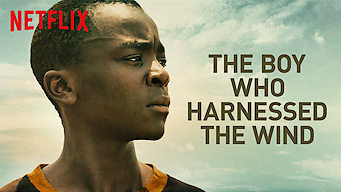 How to watch The Boy Who Harnessed the Wind (2019) on Netflix Argentina! Sorry, The Boy Who Harnessed the Wind is not available on Argentine Netflix, but you can unlock it right now in Argentina and start watching! With a few simple steps you can change your Netflix region to a country like Australia and start watching Australian Netflix, which includes The Boy Who Harnessed the Wind. We'll keep checking Netflix Argentina for The Boy Who Harnessed the Wind, and this page will be updated with any changes. The Boy Who Harnessed the Wind is not available in Argentina BUT it can be unlocked and viewed! Inspired by a science book, 13-year-old William Kamkwamba builds a wind turbine to save his Malawian village from famine. Based on a true story. They've lost their funds, their food, their faith. But with a dynamo and a dream, one boy gives his town a miracle. There is a way to watch The Boy Who Harnessed the Wind in Argentina, even though it isn't currently available on Netflix locally. What you need is a system that lets you change your Netflix country. With a few simple steps you can be watching The Boy Who Harnessed the Wind and thousands of other titles! Watch "The Boy Who Harnessed the Wind"